Provide comfort for the family of Emma Mae Wilkes with a meaningful gesture of sympathy. Emma Mae Hall was born on June 28, 1925 in Capron, Virginia to Charlie and Savannah Hall. Emma was the second eldest of eight fine children born to this union. Emma attended the local school and joined the Morning Star Baptist church in Capron, Virginia. She participated with the youth and Sunday School, as she shadowed her father Deacon Hall. Sister, as she was fondly known to her siblings, stayed busy in the home always endeavoring to assist wherever there was a need. As she would play with her siblings she would let them know, “One day, when I am grown, I am going to travel from city to city and state to state.” She aspired to do something great with her life. In Emma’s mid teen years, her family moved to Emporia, Virginia. It was at that time Emma, along with her two sisters Virgie and Tea, moved to Norfolk, Virginia. Emma was employed in the restaurant industry where she was greatly admired and loved by all. Her fulfillment was in caring for others and ensuring their needs were fulfilled. It was in Norfolk, Virginia where Emma met and married Clinton Wilkes. They resided there for five years. In the late 1950’s, Emma, along with her sisters moved to Wilmington, Delaware. She was employed as a Domestic Homemaker where she served her clients well and was fondly loved and sought after by many. Upon arriving to Wilmington, Emma joined Bethel Pentecostal Church under the pastorate of Bishop Mary E. Jackson, where she was active in various ministries. She later accepted the call to chauffeur and care for her Pastor. They resided in Wilmington until Bishop was called to Pastor Mt Olive Holy Church in Philadelphia, PA. Emma truly dedicated her life to being a servant. With Bishop, she had the privilege and opportunity to get her heart’s desire. Not only did Emma get to travel from city to city and state to state, she also traveled internationally. What a blessing they were for each other. At age 101, God called Bishop from labor to rest, at that time Emma moved back to her home in Wilmington, DE and began worshipping at her home church Bethel. 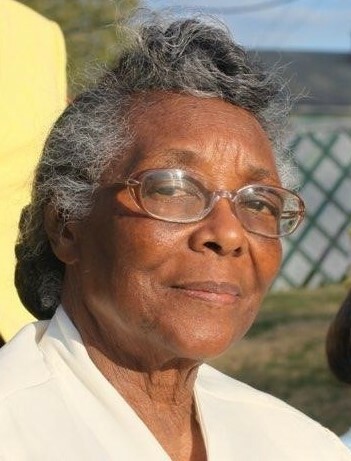 She re-joined the choir, attended Sunday school, participated as a missionary, and functioned on the National Mother’s, Deaconess and Trustee boards. Still having the passion to serve, Emma became employed by the State of Delaware caring for clients with disabilities. She touched many lives, providing love and care. Emma loved gardening, flowers, cooking, baking, reading and studying the word of God. Emma loved to do puzzles. Emma was a true matriarch and rock of the family. During Emma’s last seven years, she spent time traveling either by car or plane to Charleston, SC to visit with her nieces and nephews. Emma will be missed and remembered by her family for her beautiful smile, big kisses, great meals and life lessons. Predeceased by Emma were her parents, Charlie and Savannah Hall, five siblings: Charlie Hall, Willie Hall, Virgie Willis, Alfred Hall and Catherine Curtis (Tea); and her longtime friend and sister in Christ: Julia Carr. Emma leaves to cherish her memories and keep her legacy alive, the last two of the dedicated golden girls: Kate Griffin and Alease Homer, both of New Castle, DE, a countless number of nieces and nephews; devoted friends: Elder and Mother Melvin Kent of Birmingham, AL and Dottie Jones of Richmond, VA; and a host of church family members to cherish her love. To send flowers to the family of Emma Mae Wilkes, please visit our Heartfelt Sympathies Store. We encourage you to share any memorable photos or stories about Emma Mae. All tributes placed on and purchased through this memorial website will remain on in perpetuity for generations. Provide comfort for the family of Emma Mae Wilkes by sending flowers. My sincere condolences for the loss of your dear loved one, may the God of all comfort be with the family during this most difficult time. Please find comfort from his word - 2Corinthians 1:3, 4 and Isaiah 25:8. We are saddened to learn that you’re mourning the loss of your dear loved one. However, it saddens our God even more. No doubt, you have many fond memories which will resurface from time to time. Because you do have memories, it certainly shows that Almighty God has memories as well. Therefore, with full confidence you can take comfort in knowing that he longs to restore perfect life to all those in his memory (Job 14:13-15; Rev 21:3, 4). Please accept our condolences at this most distressing time.